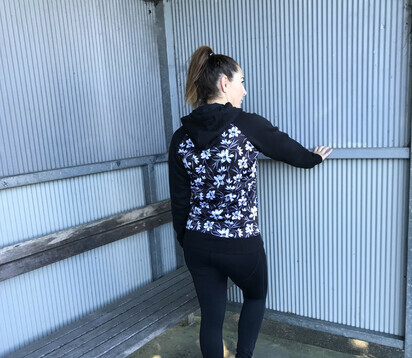 NZ owned & designed activewear . High Waisted, Squat Proof ,Ultimate Comfort , Flattering Styles & Unique Designs. Add the ultimate unique style to your life with our FITNIT NZ Designed Boutique Activewear. We support an ECO protected environment by having a no plastic policy on all your beautiful orders. All our ACTIVEWEAR is designed to make you feel super comfy, super confident & super stylish always where you Stand out from the rest. "I have been a proud supporter of this amazing NZ brand for a few years now. The crops are amazing and so comfy especially to sleep in . The leggings are comfy squat proof and HIGH WAISTED too which is a bonus cause come on who doesn't like to hold in that muffin top"
"I love the high waist of the tights and that they don't roll down when exercising. Super comfy and they hold in all the wobbly bits perfectly :D Most importantly I love that they are squat proof because no-one wants undies on show"
"I absolutely love my Fitnit Tights! They are super comfy, have an amazing was it band that doesn't roll down! Have some awesome designs which is so cool to stand out from the typical black workout tights and most importantly they are squat proof which of course all fitness lovers would know is a absolute must"